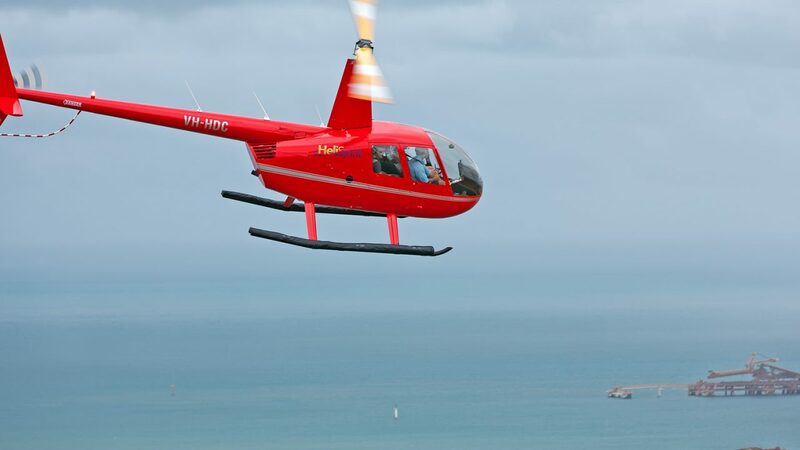 You’ll be astonished at the picturesque views of the Dampier Archipelago and the stunning blue water when viewed from our helicopter. The contrast between the bright white beaches and the rugged Pilbara landscape is a breathtaking sight. Keep an eye out for turtles, manta rays, dugongs and a range of other marine life. Read about our tour options below and call 1800 841 611 or visit contact us here. All flights depart from Lot 4548 De Witt Road, Karratha 6714, adjacent to the Karratha Visitor Centre. 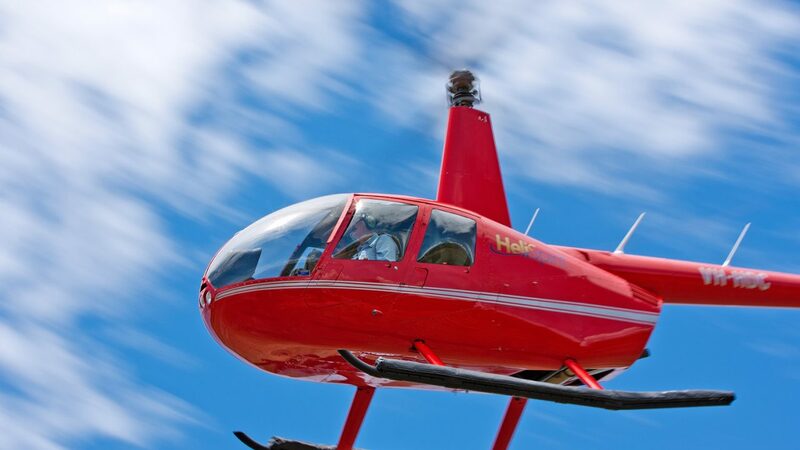 From November to March flights depart from the Karratha Airport on demand. Take off over the city of Karratha following the curve of Nickol Bay to Hearson’s Cove before heading for the thriving transport hub of the Pilbara iron ore and LNG industries. See the Ammonia Plant and the many salt lakes as well as glimpses of sea life. On departure, orbit the city of Karratha before heading up the coast of the Burrup Peninsula. Fly past Hearson’s cove and onwards towards sea ripple passage. 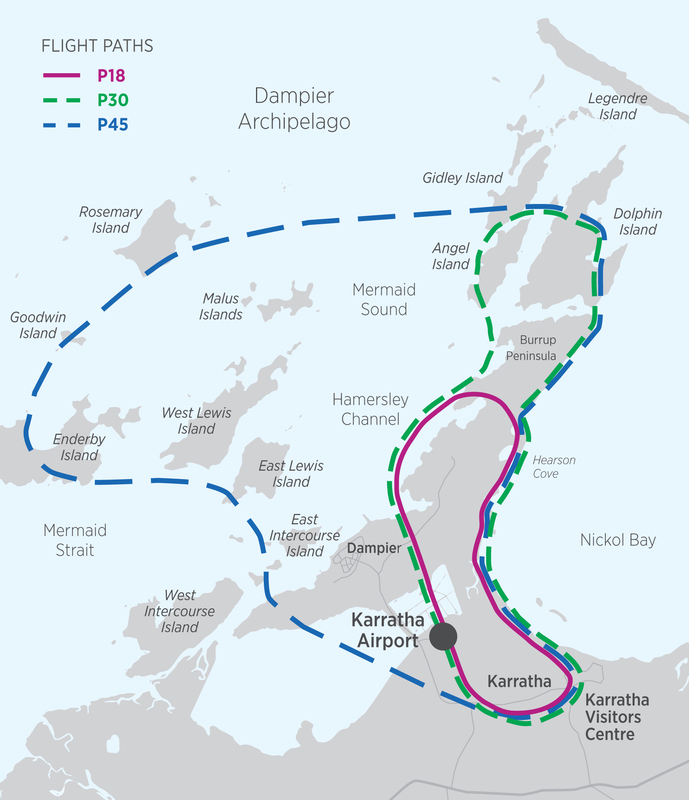 View the picturesque islands of the Dampier Peninsula, including Angel Island and Dolphin Island. 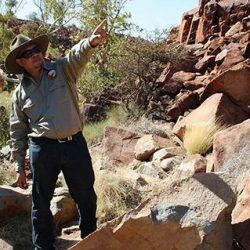 The Burrup Peninsular is home to some of the oldest and most plentiful aboriginal rock art in Australia. Marine life abounds all the way, with manta rays, turtles, dugongs and more. 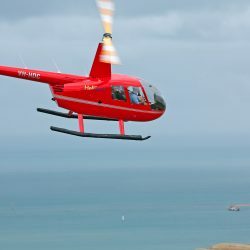 Flying down the western side of the Peninsula you will see the LNG and iron ore industries in full swing and then the main salt lakes before heading back to Karratha. 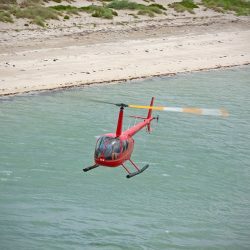 Fly over a chain of 42 islands in the Dampier Archipelago with picturesque sandy white beaches, within the raw beauty of the rugged Pilbara landscape. It is not uncommon to witness an abundance of coastal wildlife such as turtles, manta rays, dugongs, dolphins, schools of fish, birdlife… you may even see a whale or two! 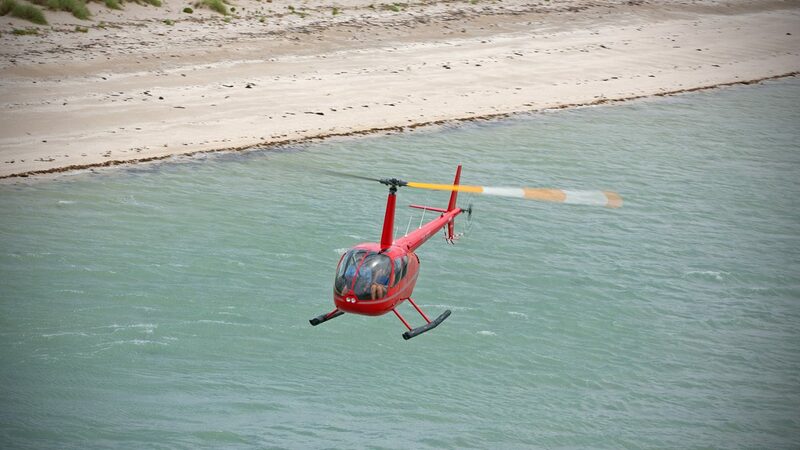 Fly over the clear blue ocean to the pristine white sand beaches on the many islands west of the Burrup Peninsula. These islands are a haven for the locals and it is clear to see why! A lot of marine life, especially turtles, as well as bird life choose to make their nests here. The port of Dampier greets us as we make landfall again, the ships of the iron ore and LNG industries being filled by the many trains connecting Karratha to the heart of the Pilbara. Join the award winning Ngurrangga Tours on a half day tour learning about Aboriginal culture in Murujuga National Park, which has the highest concentration of rock art in the world. 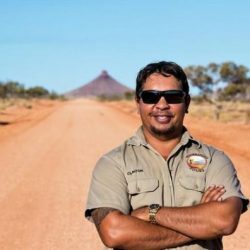 You will be traditionally welcomed to country, hear about ancient rock art, sacred sites, bush medicine and stories from your tour guide who is a traditional owner. 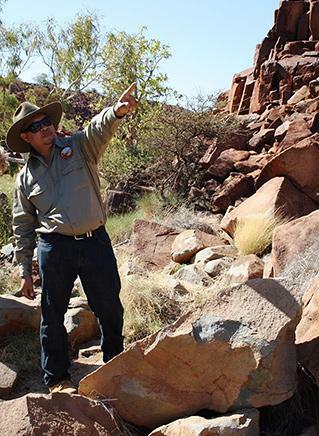 You will rediscover the petroglyphs (rock art) created by the Yaburrara (Northern Ngarluma) people. 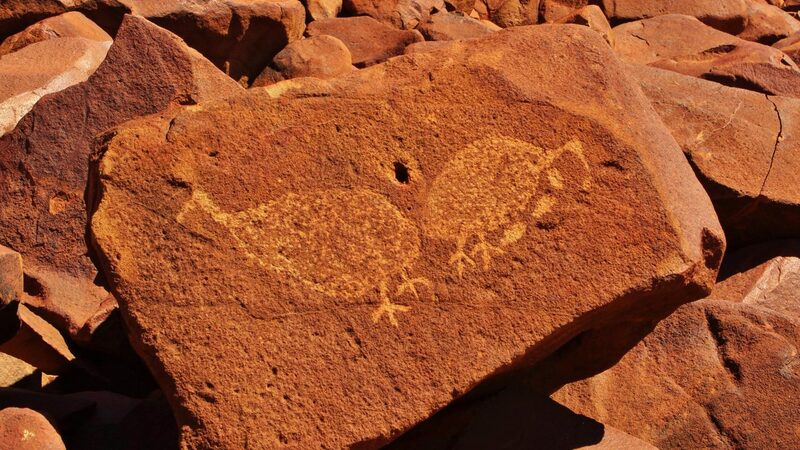 The rock art has been dated back to before the ice age ended and is approximately over 40,000 years old. 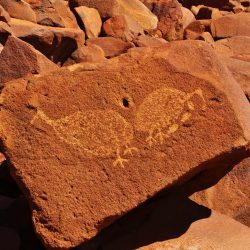 It is hard to believe that there is up to 1 million rock art images scattered across the entire Burrup Peninsula and Dampier Archipelago. 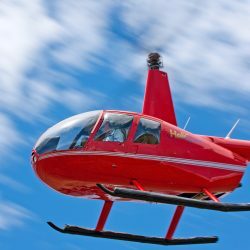 All flights have full pilot commentary. Book now on 1800 841 611 or contact us here.